Jacob’s school is so wonderful. They opened their post office for the Valentine season: each class day until February 18 the kids will bring three Valentines from their list. They are supposed to be in envelopes (no candy) with the recipient’s name on the front. They “buy” a 1 cent stamp at the post office for each letter, and then place their stamped letters in the mailbox. The post office workers for that day will then cancel the stamp and the mail gets delivered. 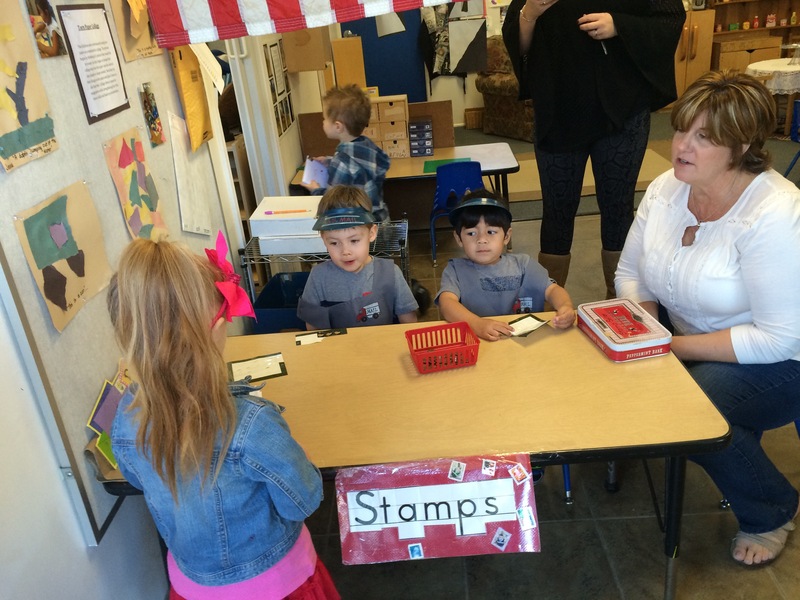 I loved hearing Jacob tell me that his friend Owen (postal worker on the left, below) was in charge of “canceling stamps.” Because he’s four and talking about canceling stamps! 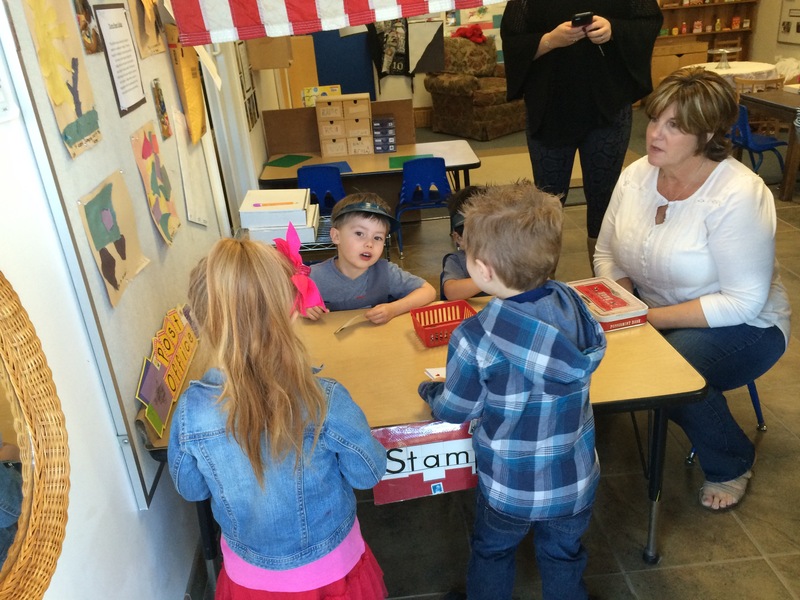 This entry was posted in Jacob stories and tagged awesome, California, Education, emilia, ideas, jacob, kids, orange county, play, post office, preschool, pretend, real, reggio, school, st. paul's, Tustin, Valentine's Day, world. Bookmark the permalink.